It’s just my personality. I’ve always been very goal oriented. I like to complete a challenge and check off a to-do list. Because this is how my brain works and how I’m wired, so to speak, I’ve been thinking of summer goals for my family. I realize summer is the time to slow down and relax, but I just can't let my kids be completely lazy all summer. Please note before you read any further, most of these goals are not monumental. In fact, most of these goals may be where I have fallen short as a parent. I plan to make up for those shortcomings this summer! Goal #1: Take my kids skating: I seriously cannot believe my children have never done this. We’ve been ice skating around Christmas time, but I’ve never given them the joy I experienced as a child of the 1980s! In my head, I envision this being an amazing outing full of the smell of rented skates, the taste of unhealthy snacks, and the views of the cool lighting from a disco ball. In reality, maybe I should take my children on this outing one at a time. We are bound to be a disaster on four wheels. Regardless, I have to make sure my children experience skating. Chicken dance and limbo, here we come! Goal #2: Teach my children my phone number and our address: When I was the same age as my children, I not only knew my phone number, but I also knew my relatives’ and friends’ numbers. I remember my kindergarten teacher working with me on this. Teachers today have so many testing standards they have to meet, that phone numbers and addresses are probably not allowed to be taught in school! We have somehow missed this skill, and I’m going to make sure we get it this summer! Goal #3: Teach my children how to tie their shoes quickly: Speaking of missing out on skills, my children are not good at tying shoes! This probably has to do with the fact that they make cool Velcro shoes these days. There were no cool Velcro shoes when I was a child, so tying your shoe was important. I also feel like this is one of those skills that I would have focused on had I not had multiples. You try waiting on four little ones to tie their shoes. We would have never made it out of the door-ever. This summer, I vow to buy my children shoes with laces, so we can practice. Goal #4: Keep my children unplugged for some of the day: There will be bike riding, board games, reading, and more before we can play our devices. My children are already so excited about how much screen time they are going to get this summer. It’s a problem, and I know I have to make sure they do other things! I really do not want to have to reteach so much that they learned in school this year. My children love the summer reading program at our local library. We are going to read every day, so as to not lose those skills. I’m committed to this! Goal #5: Become tourists in our own area. 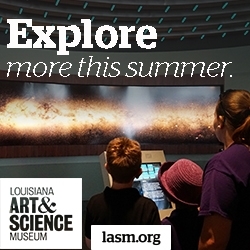 We have a beach vacation planned later in the summer, but in the meantime I plan to really explore South Louisiana. There’s so much to do here that I’ve never done before or have never done with my children. For example, I’ve never taken them to the state capitol building. I spent every trip to Baton Rouge as a child with my family visiting this historic building. My grandfather was a state legislator, and I’ve never shown my children the room where he sat. I’ve got to do this and so much more with my own kids. It’s true that you take for granted things around you every day. I’m not going to do that with Baton Rouge this summer. Goal #6: We are going to think of others. Summer is a perfect time to do small missions with your children. Whether it’s a lemonade stand to raise money for a worthy cause or cleaning up a park, there’s lots we can do to show that we care about others. My summer goal list is a work in progress. I adore summer. I love the extra time with the kids. I love the relaxed evenings not rushing to do homework and extracurricular activities. And while I’ve set goals for my summer, I feel like they are all pretty fun goals that the kids will enjoy. 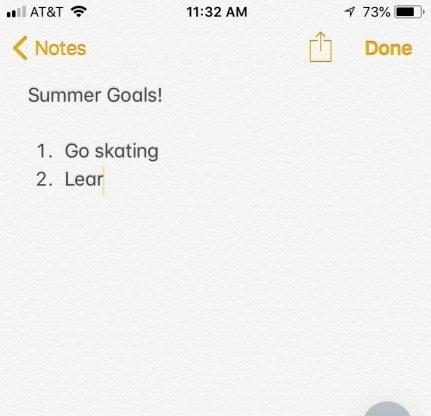 Do you have a goal this summer?